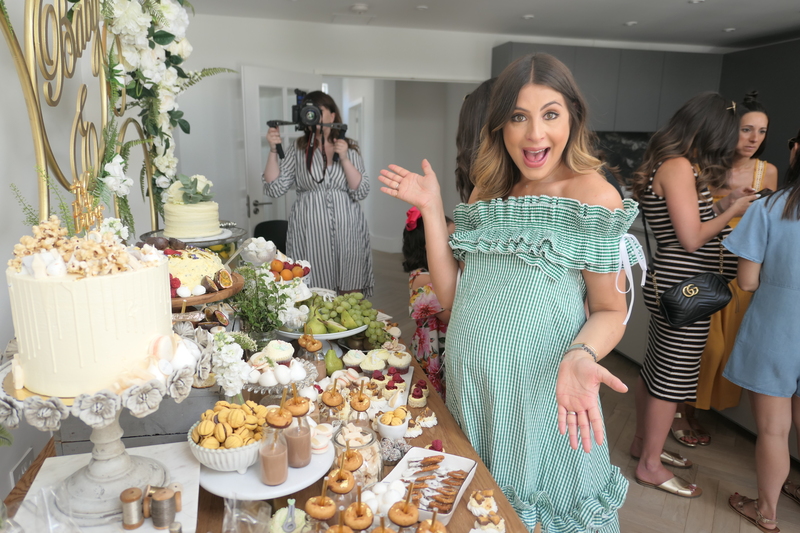 Being asked to help create the best surprise We Are Twinset baby shower for Sarah was such a pleasure as I’ve known the girls for years. Philippa knew exactly what she wanted, keeping in with a gender neutral theme. Colours included whites, creams, and golds for an opulent and sophisticated colourway. Philippa and I decided to create a typical ‘Social Kitchen’ style buffet table. This included my handmade chocolate dipped pretzels, custard, greek nut and date biscuits. 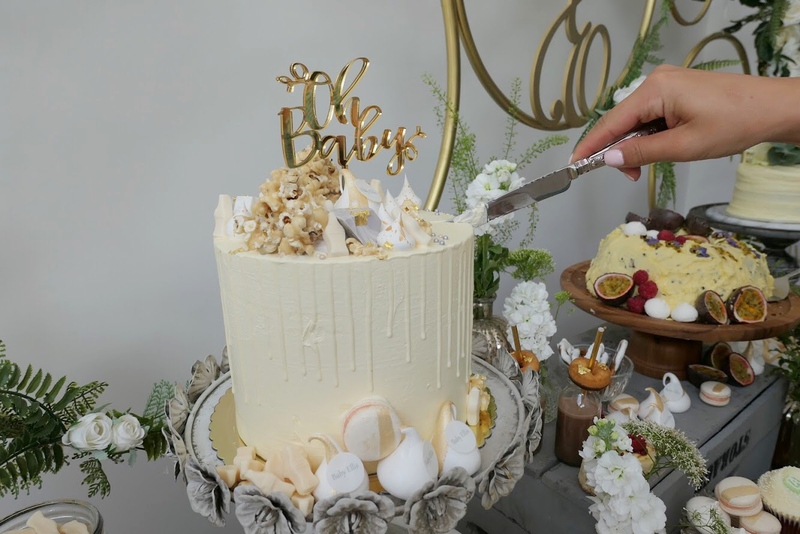 A fantastic showstopper ‘Oh Baby’ cake baked by the very talented Harri Bites, choco milkshakes with dinky doughnuts, mini clotted cream and jam scones and ‘about to pop!’ popcorn. 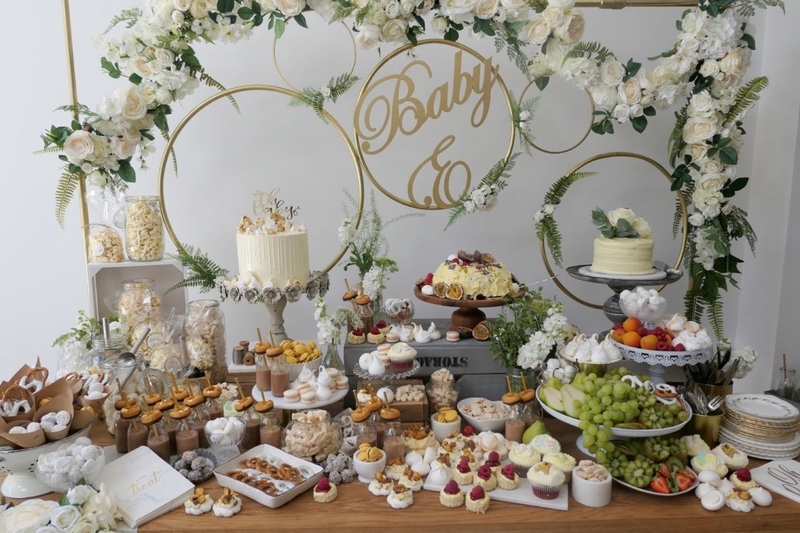 A savory spread for the not so sweet-toothed guests consisted of a mixture of open sandwiches, cheese tower with gooey sweet honeycomb and crudites with dips. These giant white chocolate pretzels were so effective and everybody loved this sweet and salty snack. I’ve written a blog telling you exactly how I made them, take a read of my Ombre Dipped Pretzels guide and have a go at making them for yourselves. Sarah was so surprised as she walked in and had such a lovely day. 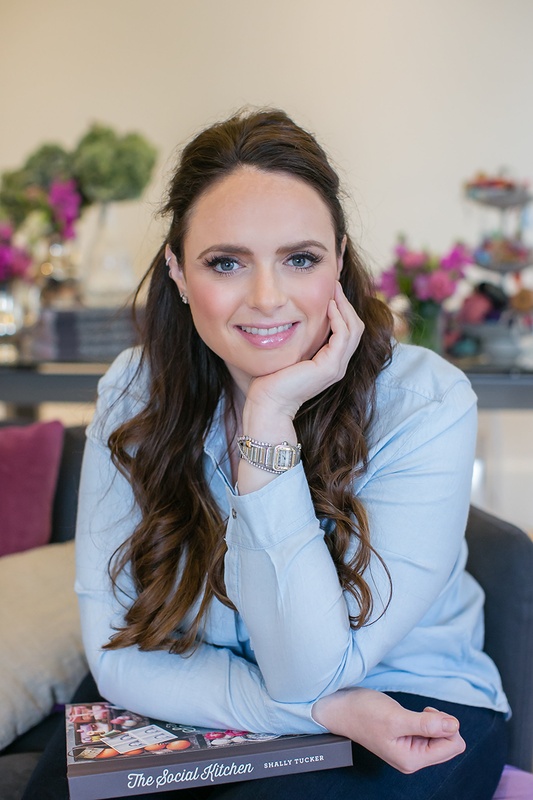 I think it’s safe to say that we all can’t wait to meet baby Ellis and know that Sarah will make a brilliant mom- congrats!